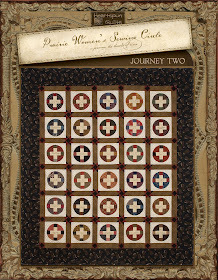 Sew into rows; press for opposing seams or press seams open. 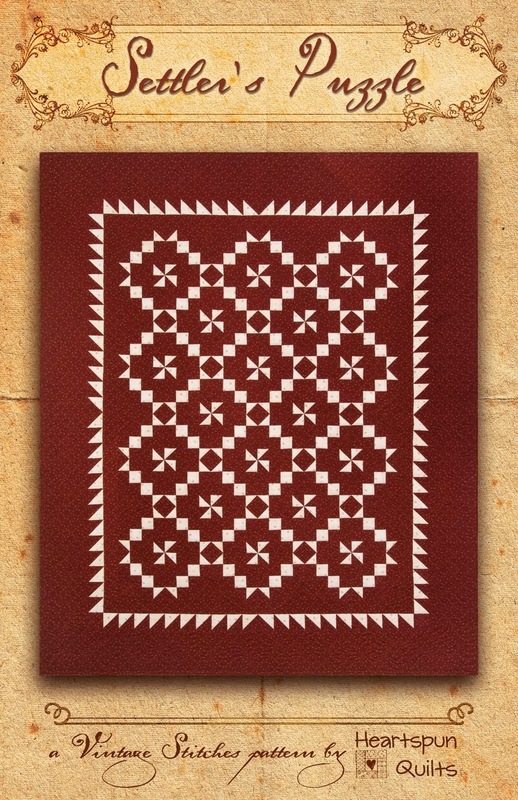 Then sew rows together to make this classic block. Be sure your block measures 6 1/2" unfinished. We're getting ever closer to the big reveal. I hope I surprise and delight you! Have a wonderful weekend, and in case I haven't told you lately.....thanks a bunch for reading my blog!!! I'm so grateful you take the time to visit with me!!! "Well, since this is a dream, I'd like to go to Pour l'Amour du fil in France -- see the show, shop and take some classes. Or, if that doesn't work out, how about a retreat in Australia?" Congrats, Hiyacinth, I like how you think! If you're gonna dream, why dream big!! I'd love to go to those places, too!! Please email me with your address so I can get your Buggy Barn T-shirt on its way to you! My thanks to all who took the time to comment! I L.O.V.E. reading your comments each and every day, and you had some wonderful memories to share. Do you know what a "Pin Poppet" is? A Pin Poppet is a type of vintage pin cushion whereby the cushion is held within a container that has a top or lid, which unscrews to reveal the pins inside. Kinda cool, huh? 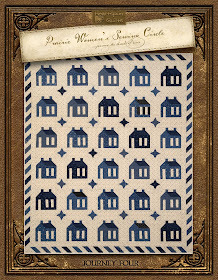 See you tomorrow for another block in my Nabby's Dowry Sew-Along! In my last post, I hinted about meeting a very fun and determined group of ladies. They call themselves The Barn Chicks! These ladies live in the Bay area of California. Kristi, Jean, Patty and Linda were accompanied by a few other chicks (not in the photo) on their annual retreat to The Buggy Barn. 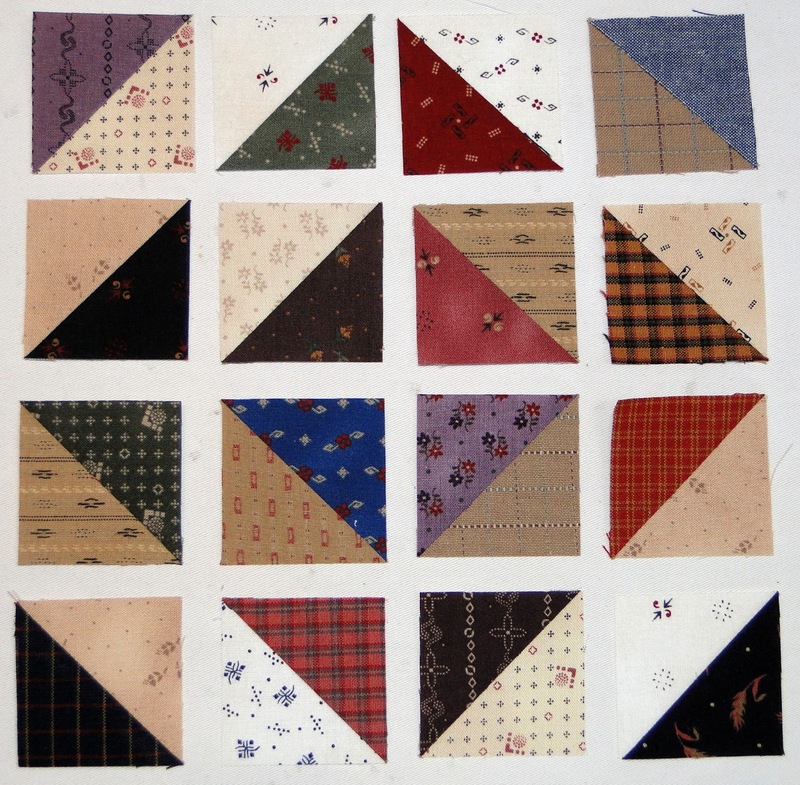 It doesn't take long before their enthusiasm for quilting and having fun pulls you in. I was eager to learn more about them! 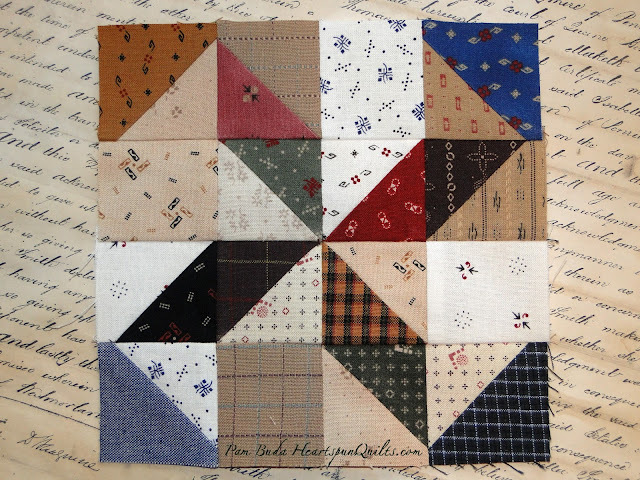 Over the years, the Barn Chicks have made many quilty gifts for each other to commemorate their time together and destination to a new far-away retreat or class. How fun is that?? From full size machines to Featherweights, the Barn Chicks bring their own sewing machines wherever they go! I was intrigued. The chicks told me they take their machines as carry-on luggage everywhere! Over many years, to many destinations, they've never had one problem tucking their sewing machine in the overhead bin on the airplane!! I asked to see the totes and carrying cases they used, pictured above. I've seen the lime green roller tote available in shops and quilt shows, the Bernina roller cart (with telescopic handle) is new to me. 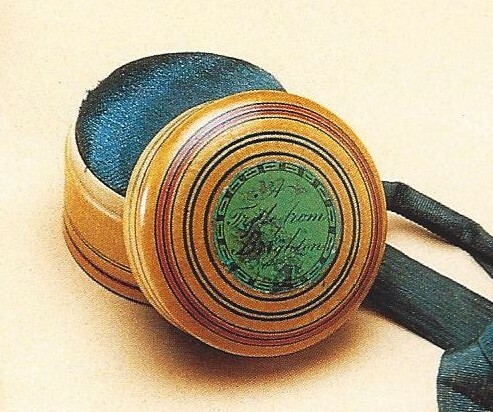 The beige bag also has a telescopic handle and wheels and was actually sold as a tool box!! Another chick simply uses the hard case cover of her machine. All totes and machines in the photo fit in the overhead bin on the plane! Tucked inside all of those rolling carts and hand-made sewing needfuls are lots of memories of good times they've enjoyed together! As girlfriends, they make it a point to get-away to sew, visit new destinations, and make new memories. Thanks, ladies, for sharing your ideas and inspiring us all!! I hope they serve as inspiration for you to gather a few friends, pack up and sew some memories for yourselves. As you can see, it's very do-able! And.....have I got a fun destination for you!! Join Lynne Hagmeier (Kansas Troubles Quilters) and me on our next retreat to St. Augustine coming this January 20-24, 2014. 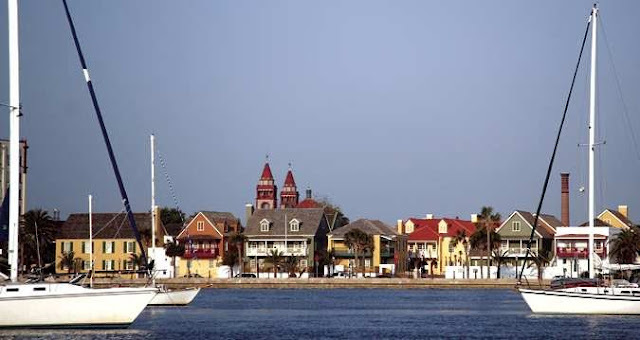 St. Augustine is a charming, historical town full of wonderful restaurants and quaint shops all along the Atlantic ocean within walking distance of our hotel. Ride the free trolley all over town right from our hotel! Now that you know how to bring your sewing machine.....what's stopping you?? You know you want to join the fun and escape the doldrums of winter! Click here to read all about the accommodations, the included meals, and see the four projects we're offering! The classes and kits are included in the price!!! Comment before Thursday morning about your favorite retreat destinations or where you'd love to go for a chance to win a Buggy Barn T-shirt! Excited was hardly the word for how I felt having my first experience visiting and teaching at The Buggy Barn Quilt Shop!! In case you don't know, the shop really is housed in the 96 year old buggy barn found on the farm property of co-shop owner Janet Nesbit. Janet's sister, Pam Soliday, lives nearby. 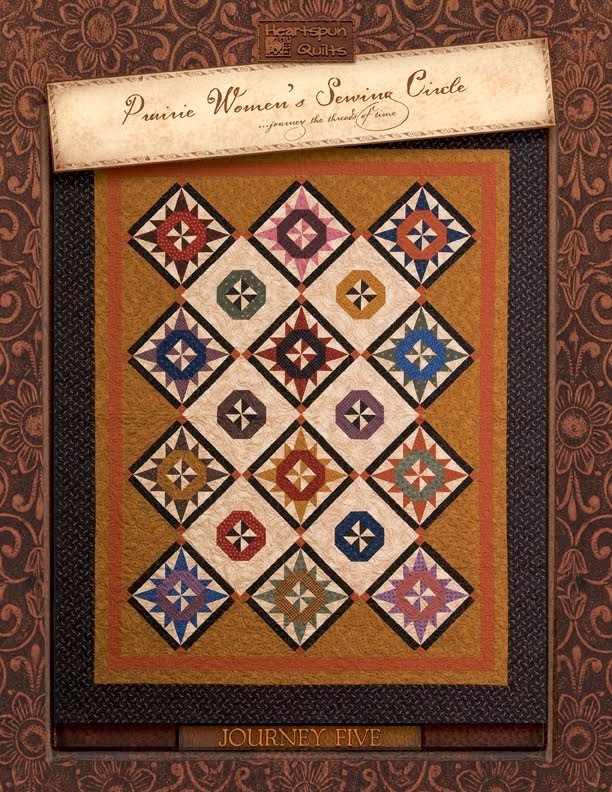 These sisters have been working together for more than 15 years now, have designed quilts, wrote about 20 books, and design fabric for Henry Glass. Oh, and yes...they help out on their farms, too! In addition to a beautiful array of cottons and homespuns, The Buggy Barn has a luscious selection of wool too. I have to admit that I spent a lot of time lingering over these pincushions. I love collecting pincushions, and a kit for one or two made their way home with me. There are lots of classes to choose from for this special event, and they are held in several facilities near the shop. Sue Spargo and I shared this spacious building for our classes. We had loads of room and it was light and bright. Once again, I was blessed to spend two fun-filled days with quilters from all round the US and Canada. We shared lots of stories, tips, hints, gadgets and other sewing paraphernalia. I love seeing what everyone brings to class! I have the best job being able to share what I know with them, and they with me, and meet such wonderful and talented people! 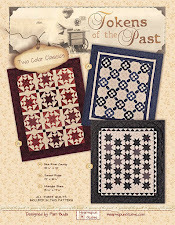 Each year, Pam & Janet make new T-shirts for the Quilt Show. Here is this year's pretty T. I bought one, size XL, for someone special. That someone could be YOU! Leave a comment for me about a favorite retreat destination and where you went. Comment before Thursday morning for a chance to win this T-Shirt!! 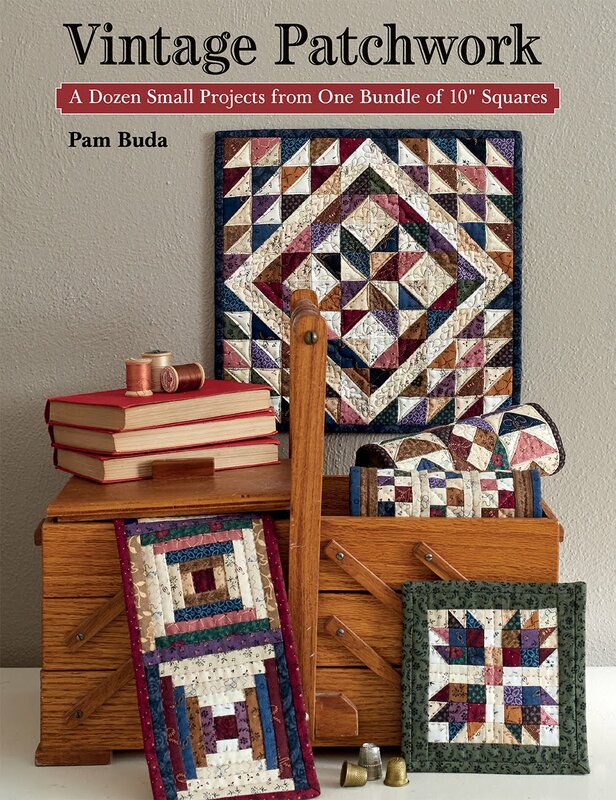 In my next post, I'll introduce you to a group of quilters who travel anywhere and everywhere to sew together! Don't miss it and don't forget to comment!! 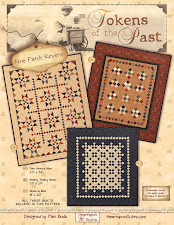 Repeat after me...sew into rows....yada, yada, yada! Are You Getting Primitive Quilts Newsletter? 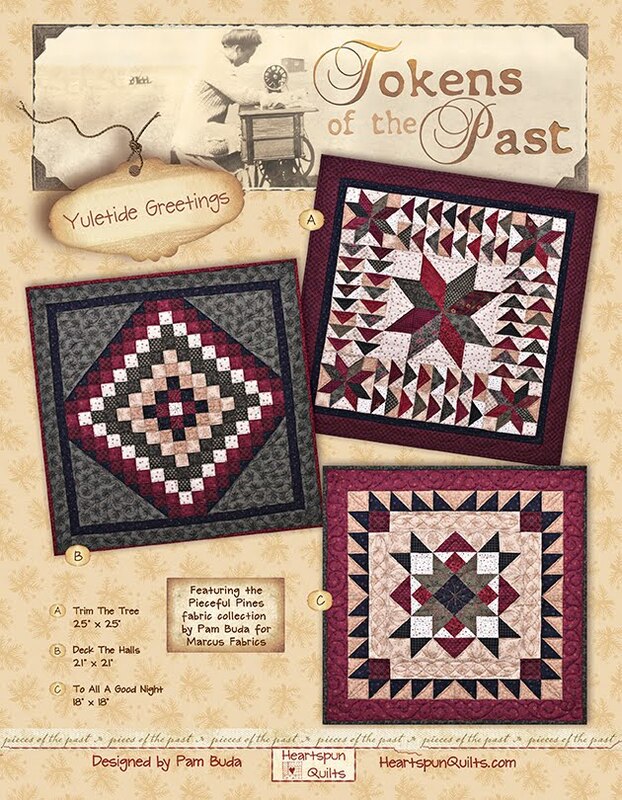 By now, I'm sure you know all know about the wonderful Primitive Quilts and Projects magazine, but did you know they have an awesome newletter? 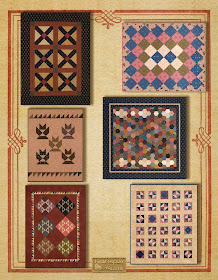 Click here to go to Primitive Quilts and Projects website, then look at the lower left corner (as shown above) for the "Receive our Newsletter" icons. Enter your email address....that's it! You'll hear about and see some of the latest goodies coming your way. 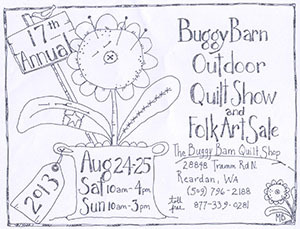 Today, I'm traveling to Reardan, WA to teach a couple of workshops at Buggy Barn's annual outdoor quilt show and folk art sale. I'm so jazzed to have been asked to this iconic event, and can't wait to see the shop. I'll be sure to take lots of pictures and post about it all when I get back. 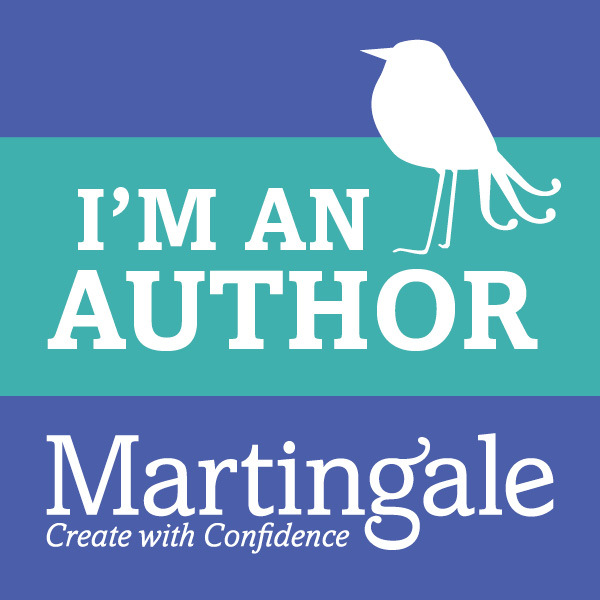 I'll be posting to Facebook as often as I can with behind the scenes goodies. While I'm gone, enjoy your next block for Nabby's Dowry on Friday! 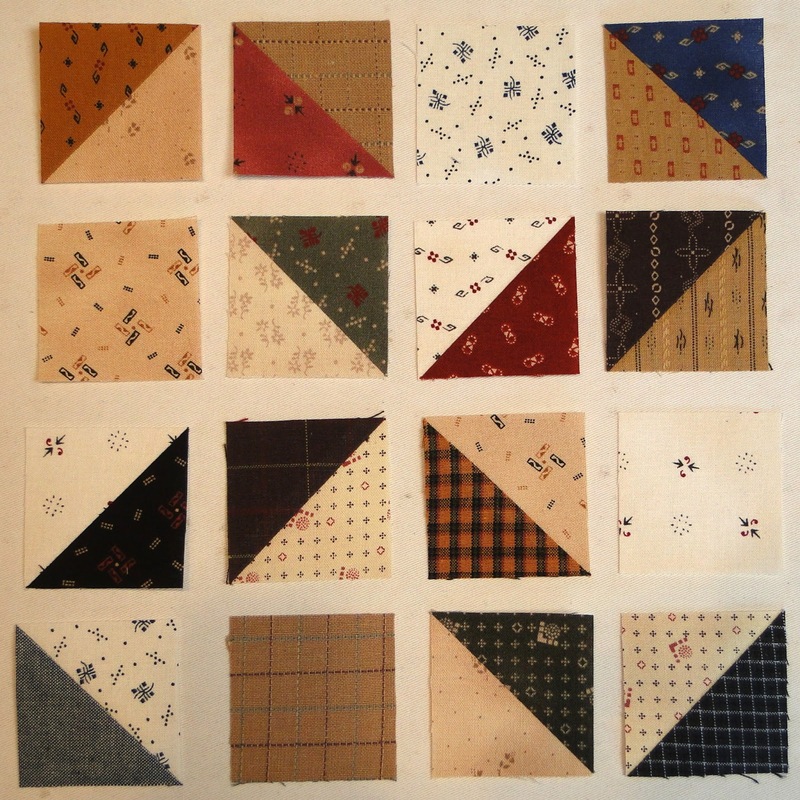 By now you surely know the drill....sew into rows; press, then sew rows together for a 6 1/2" unfinished block. Continuing on with my shop hop and retreat trip of a few weeks ago, here's some really good stuff from two more of my all time favorite shops! 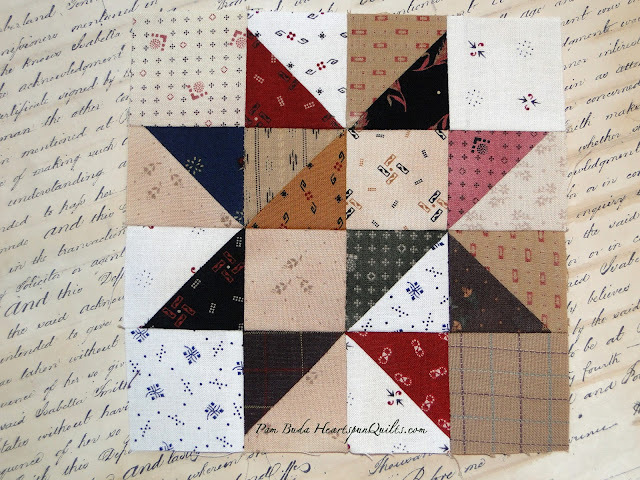 I've had the pure pleasure of teaching periodically at The Quilter's General Store (Rockford, IL...near the WI state line) over the past several years, and it always feels like home when I'm there. It's a warm and cozy shop, not only because of the nice people that work and take classes there, but they always have great fabrics, and I leave feeling inspired. Like this beauty that greeted me when I walked in the door. 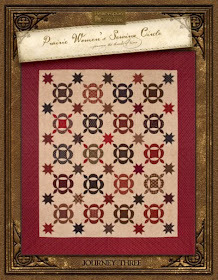 This quilt, called Four Star General, is their newest BOM (they do lots of BOM's!) If you're in the area, you still have time to join the fun as it starts the 3rd week of Sept.
Did I mention the shop is located in an old farmhouse? Yes...so charming! The farm is still a working farm, too. You'd never guess that it's all located on the corner of a bustling city intersection. 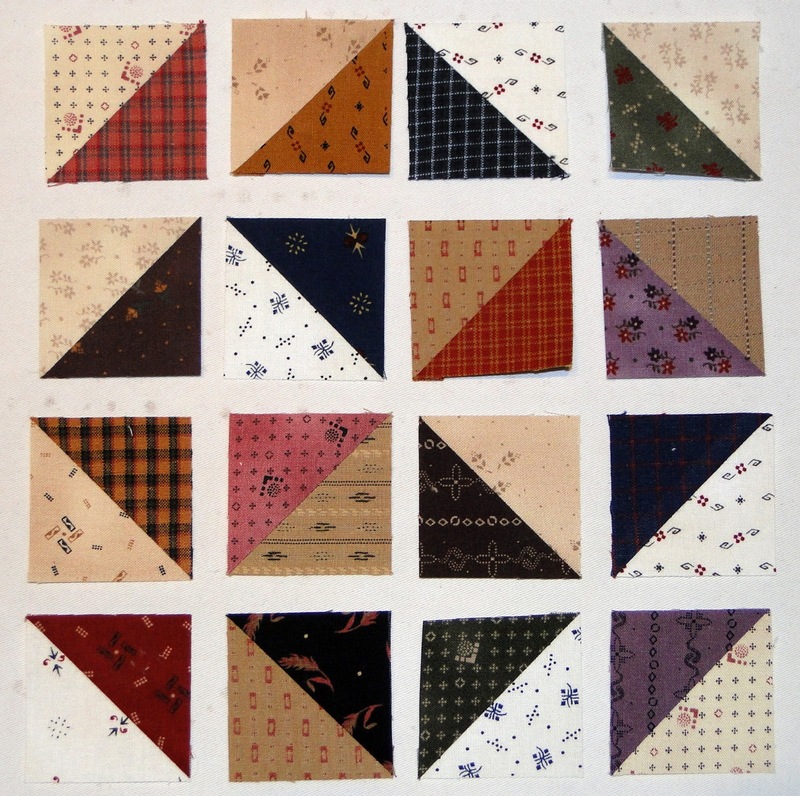 The Quilter's General Store has offered the Prairie Women's Sewing Circle club from the very beginning. I think it was the third shop to ever offer the club. Former owner (and dear friend) Deb Peterson-Borcean lead the club for many years, and now current owner (and friend) Denise Rehnberg does it. Denise and Polly surprised me with show-n-tell of the shop quilts from Journey Four of the PWSC club! I think you can see that if you're in the Rockford, IL area, you NEED to make a stop at the General Store! 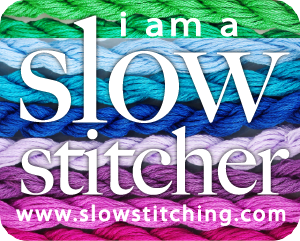 My final destination was in Wisconsin, and if I'm ever entering the state, I HAVE TO go to JJ Stitches! JJ's is located in Sun Prairie, WI (near Madison) and I think I've been going there for more than 15 years, and it's been grand each and every time. I must confess that I didn't take as many photos as I would have liked for you because I was consumed with looking, touching, and buying fabric. Dare I say you understand and will forgive me?! Julie Hendricksen (peeking above the quilt) owns the shop and also designs fabrics for Windham. I did manage to have the presence of mind to snap photos of several of Julie's latest offerings, like the gorgeous quilt above, called Reproduction Pinwheels. I had to have that pattern! 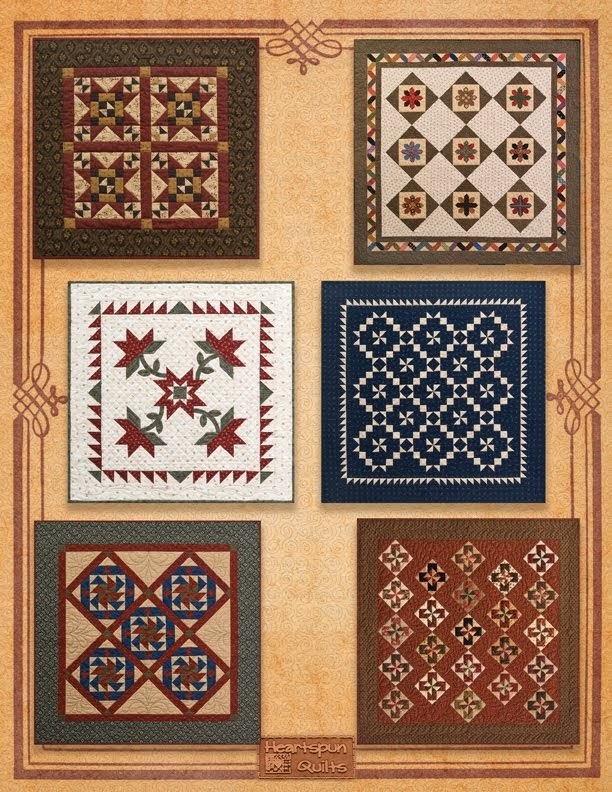 Julie often replicates and patterns many of the antique quilts from her large collection, offering unique patterns no other shop has. 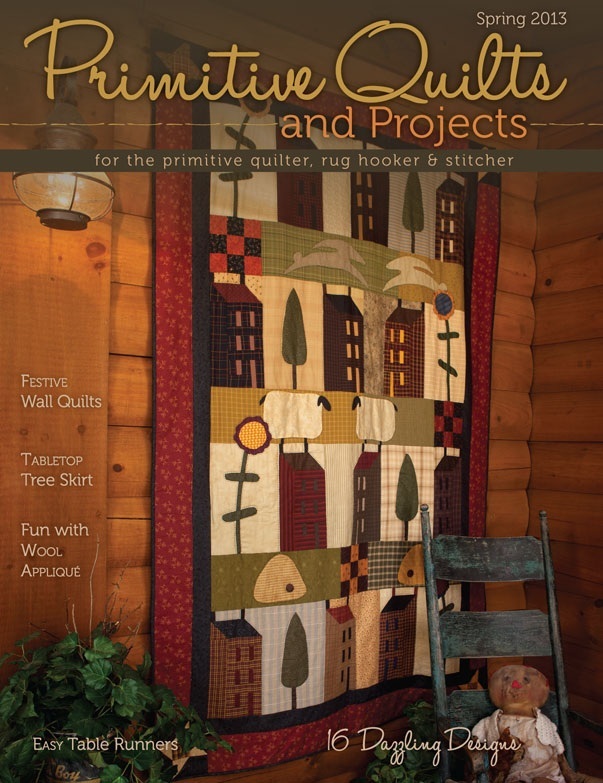 the current issue of Primitive Quilts and Projects magazine. 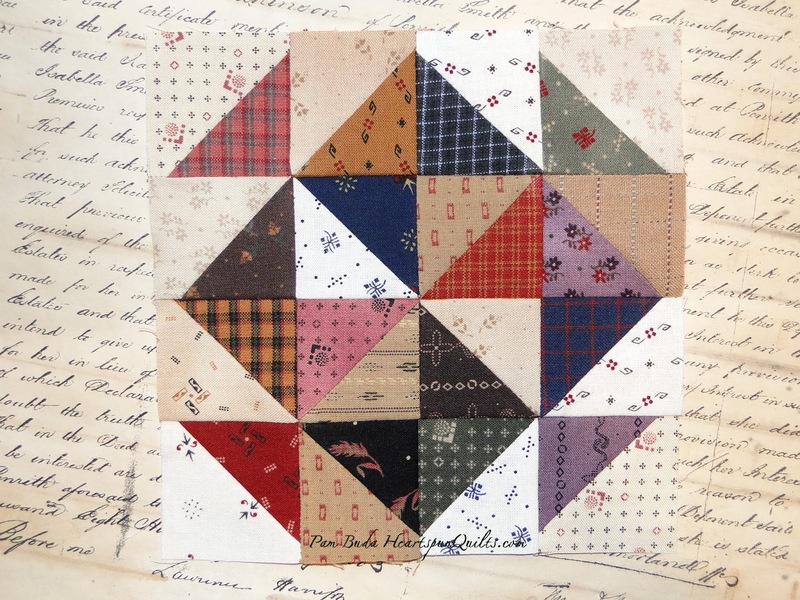 Julie uses patterns from national designers, too, like this beauty called Old Soul from one of my favorite designers, Marcie Patch of Patchalot Patterns. There is just the most wonderful feeling that comes over me when I walk through the door at JJ's. 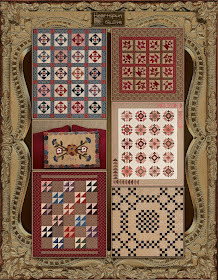 Maybe it's the antiques Julie uses for display, or the warm Civil War colors and fabrics. 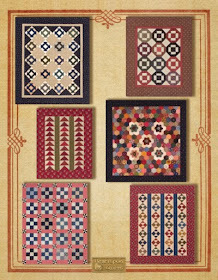 The soft music playing or just the fact that I know I'll find great fabrics and kits. Maybe because I've been going to JJ Stitches for so many years, it's more like visiting a friends home. It's probably all of those things, and I know you'll feel it, too, if you ever get the chance to visit. You can always shop online!! Needless to say, my shop hop was a great success, and perhaps now you can see why I lovingly refer to the shops on this route as "the holy land of quilting!" 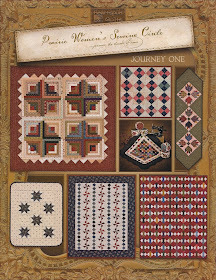 My final destination was the Second Story, located above another awesome, top notch quilt shop, The Country Sampler. My pal, Tara Lynn Darr (Sew Unique Creations) and I settled in for days of wonderful, productive sewing. 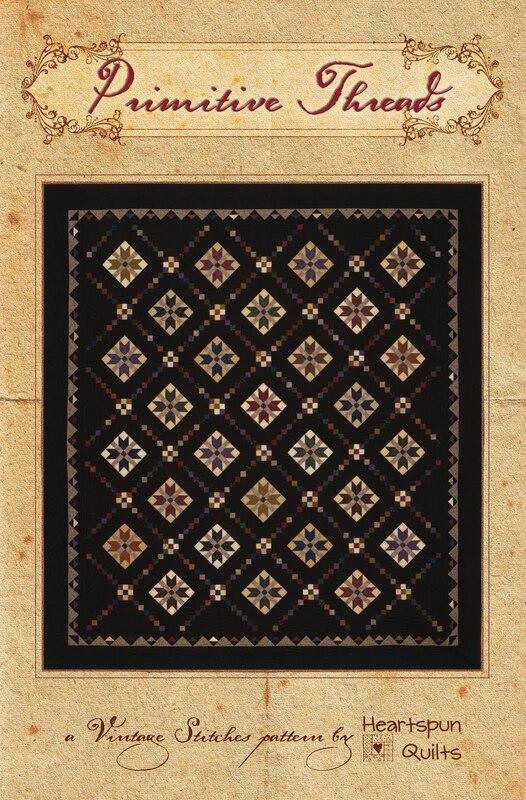 Tara worked on new projects for her next book, and I worked on the final quilt for Journey Five. We sewed, relaxed, gabbed, ate, and enjoyed a Downton Abbey marathon. All good food for the soul!! Another Friday and we're humming right along with our blocks. Perhaps you're thinking that you see a theme here within the blocks? Well...perhaps you are, but don't count me out just yet! I have a few surprises up my sleeve!! Here's block five. Sew together into rows, alternate pressing directions for opposing seams, or press seams open. 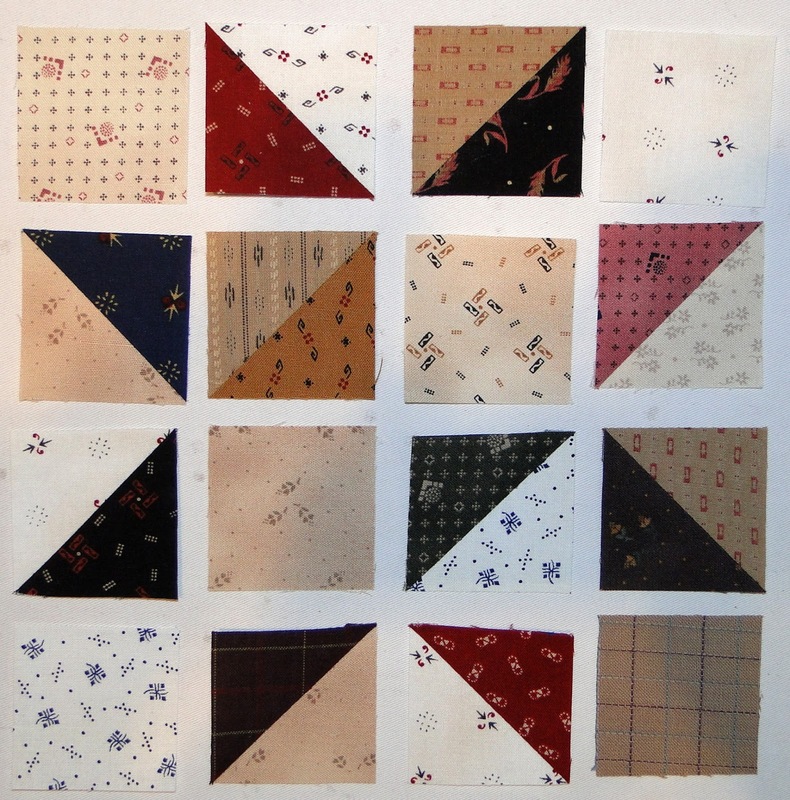 Sew rows together for a 6 1/2" unfinished block. Hope you're enjoying our little Friday get-together's as much as I am! See you again next Friday! Celebrating Olde Green Cupboard Designs Debut!! !